Our first project, the Advent Calendar, helped you count the days till Christmas. The project for week 2 is Handmade Holiday Greeting Cards. They can be made just in time for the holiday season. There are three card designs to choose from or use our designs to inspire you. Make just one or all three. If you’re feeling super creative use these designs to inspire your own holiday cards. This also starts our second Facebook sweepstakes. Like the Home for the Holidays post pinned to the top of the page for a chance to win the Mod Podge supplies to make these cards! 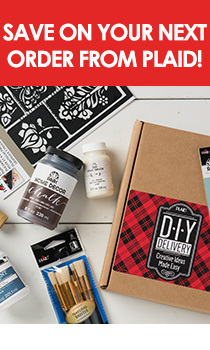 Find all our projects through out the campaign at the Mod Podge Home for the Holidays Page. Can you believe that summer has passed, the kids are back in school and it is almost Halloween?